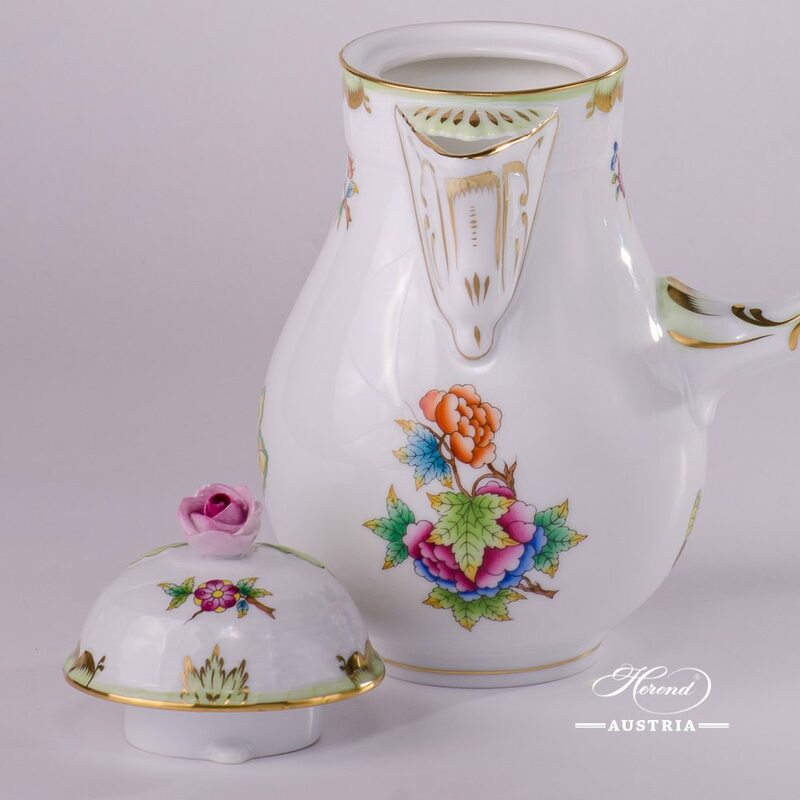 Coffee / Chocolate Pot with Rose Knob – 634-0-09 VBO – Herend fine china. 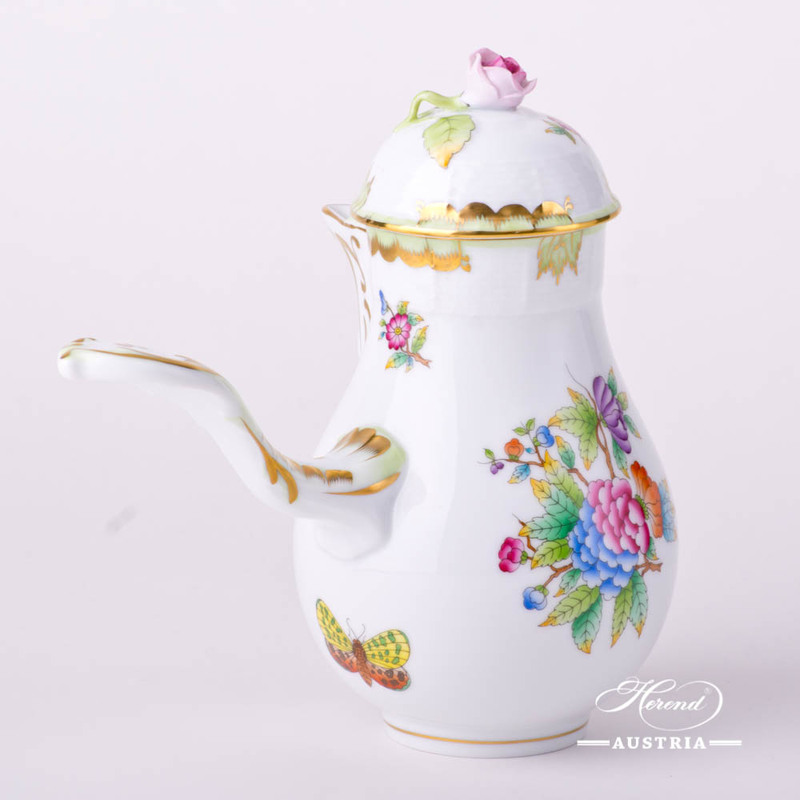 Queen Victoria of England ordered it for her Castle at Windsor. 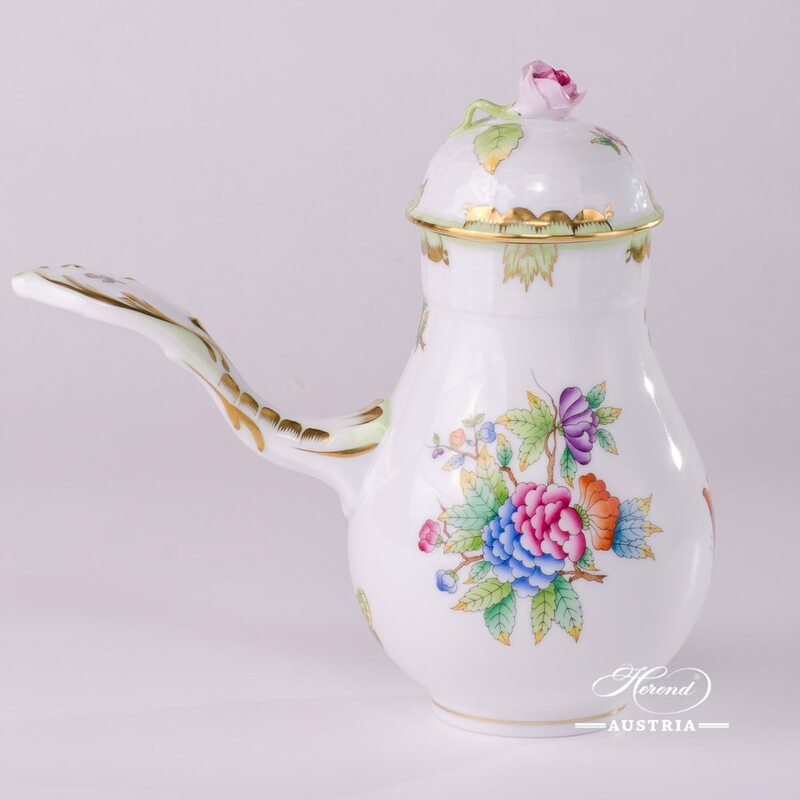 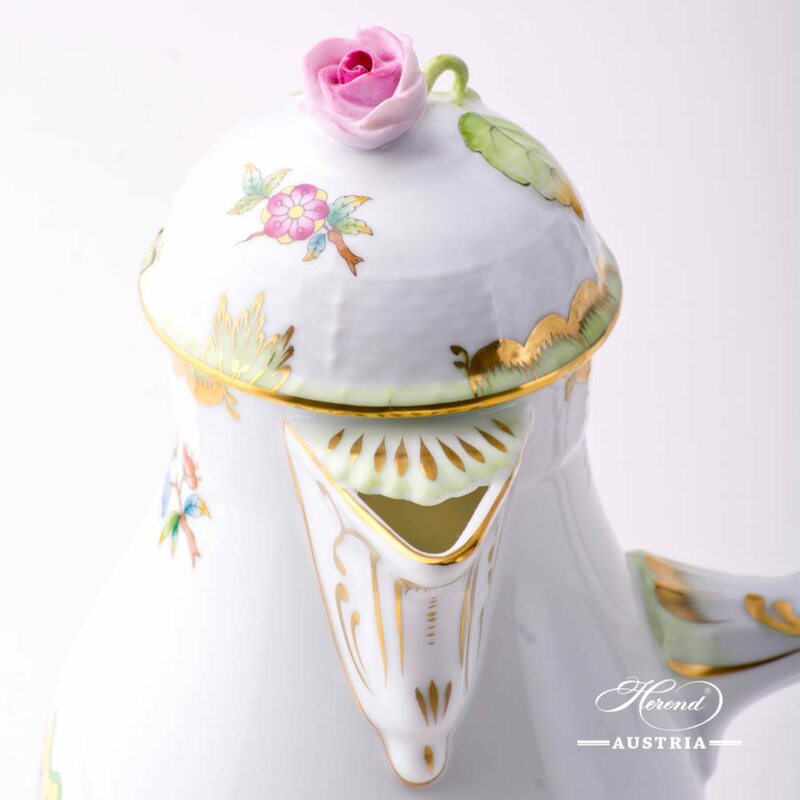 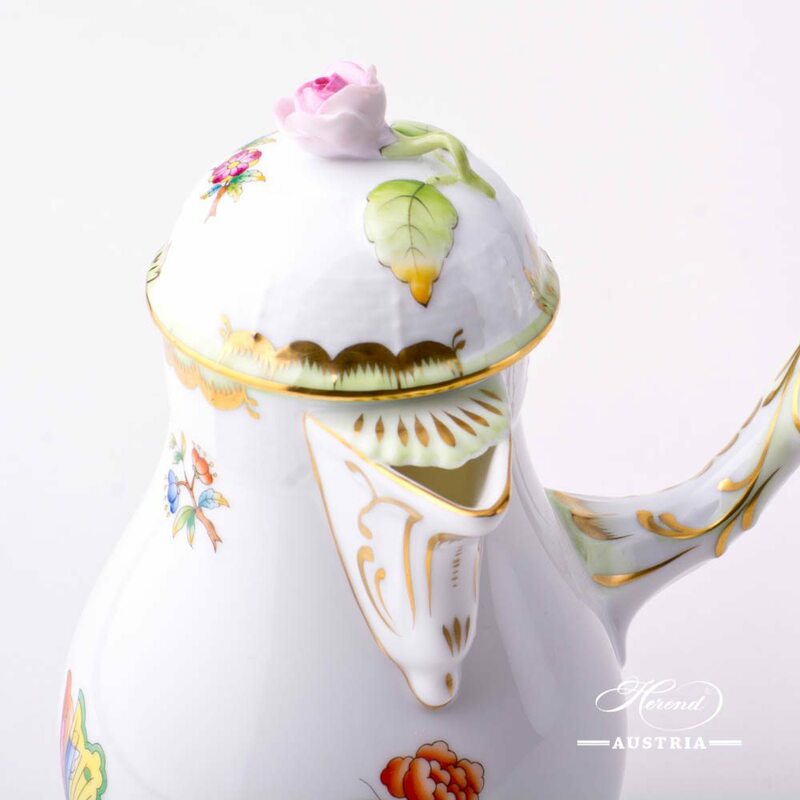 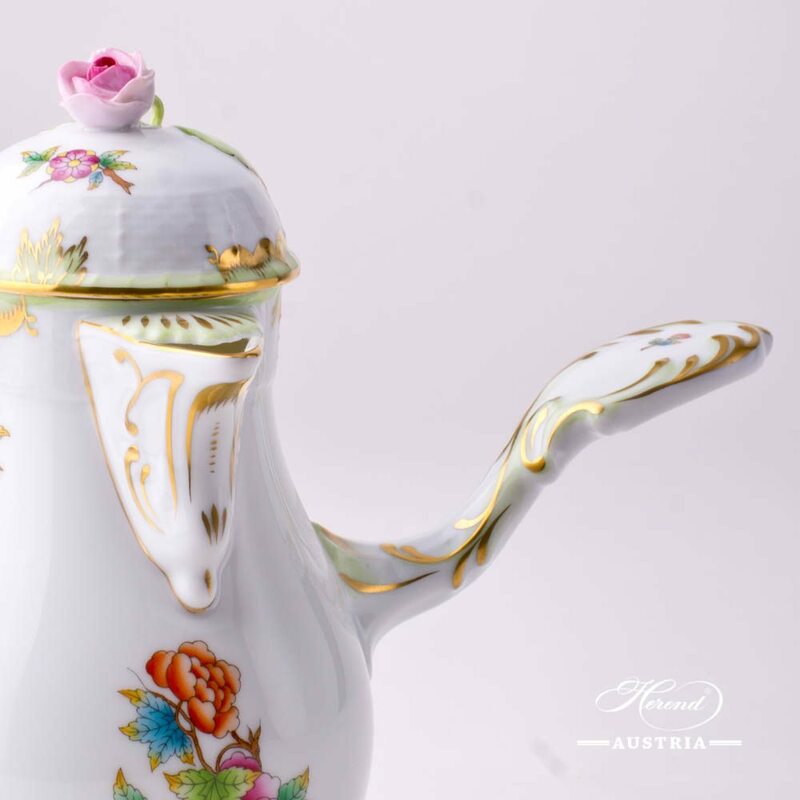 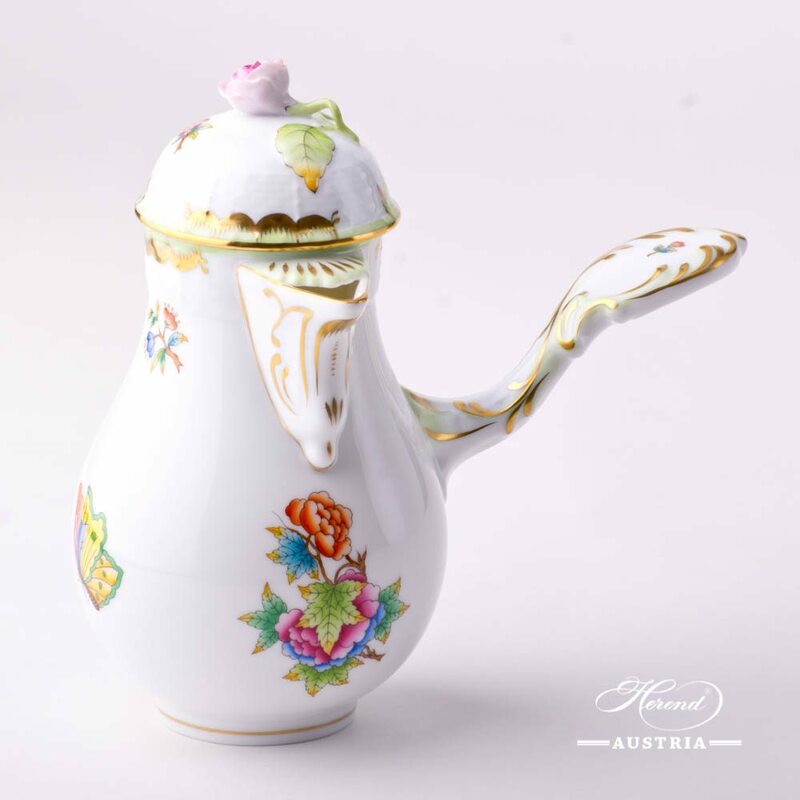 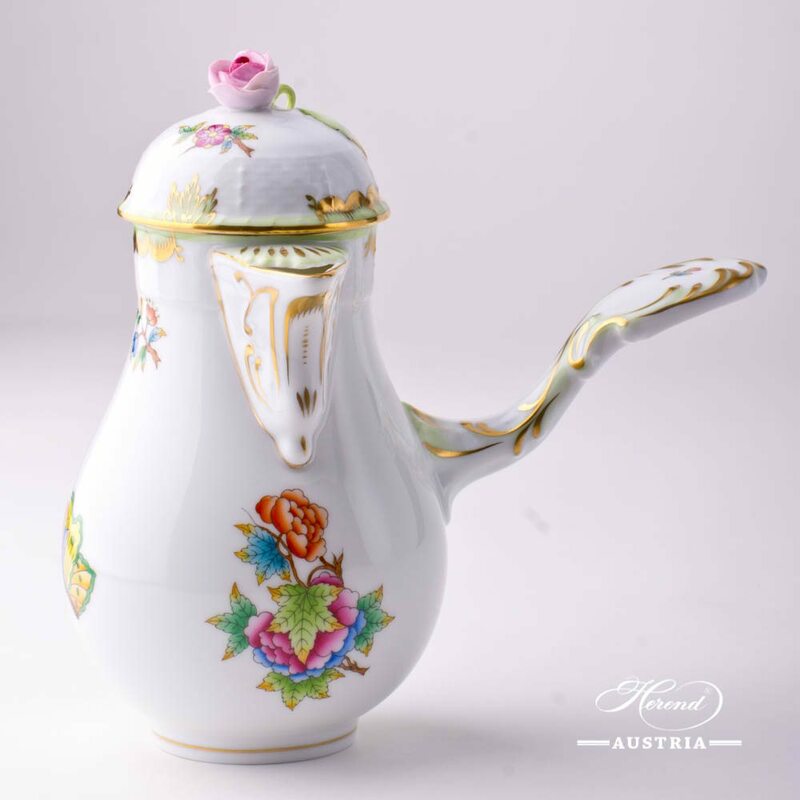 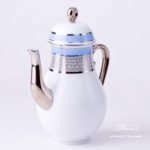 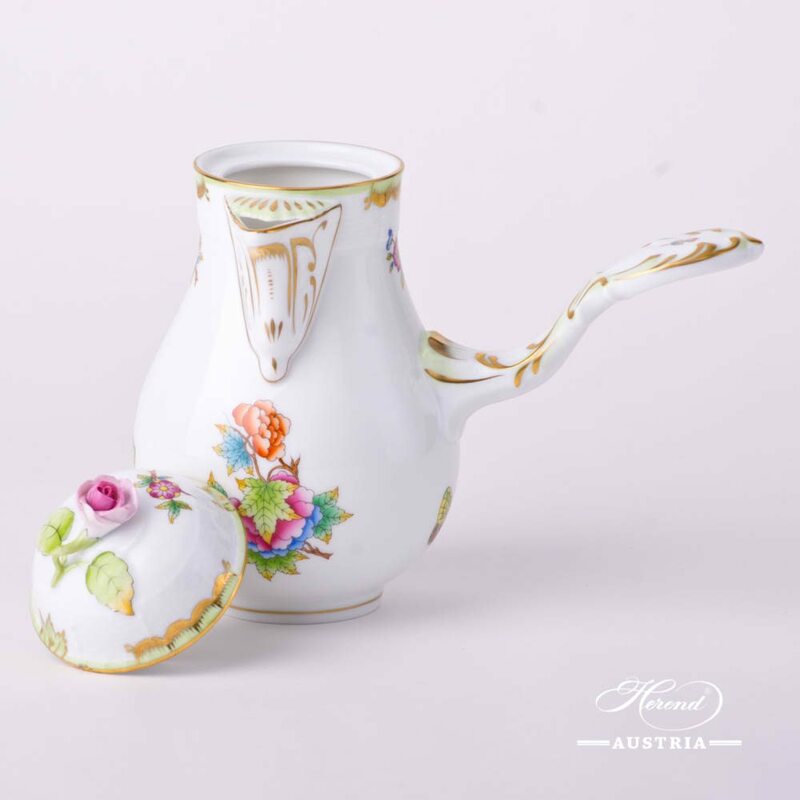 Coffee Pot with Rose Knob – Herend Queen Victoria VBO porcelain. 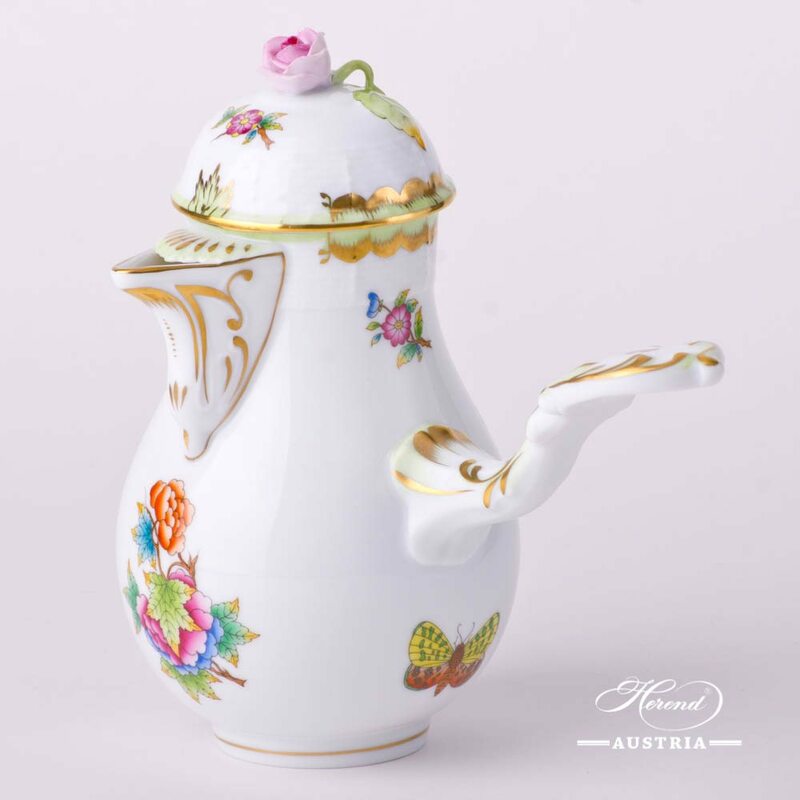 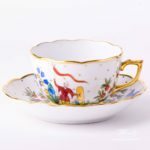 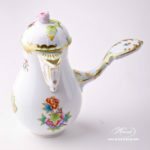 This Coffee Pot is part of the Queen Victoria VBO Coffee Set, of course you can purchase it separately.